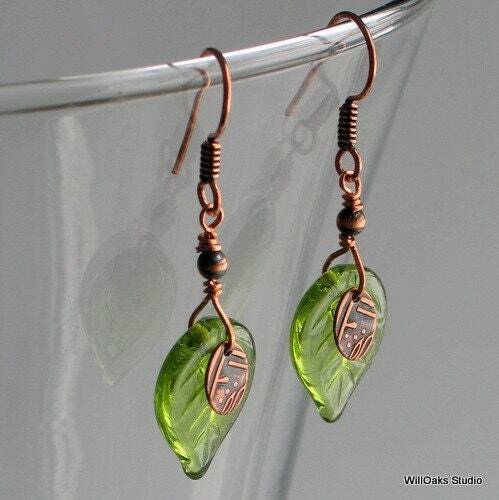 Large peridot green Czech pressed glass leaves pair up with dainty embossed copper ovals and dangle from sealed copper ear wires. 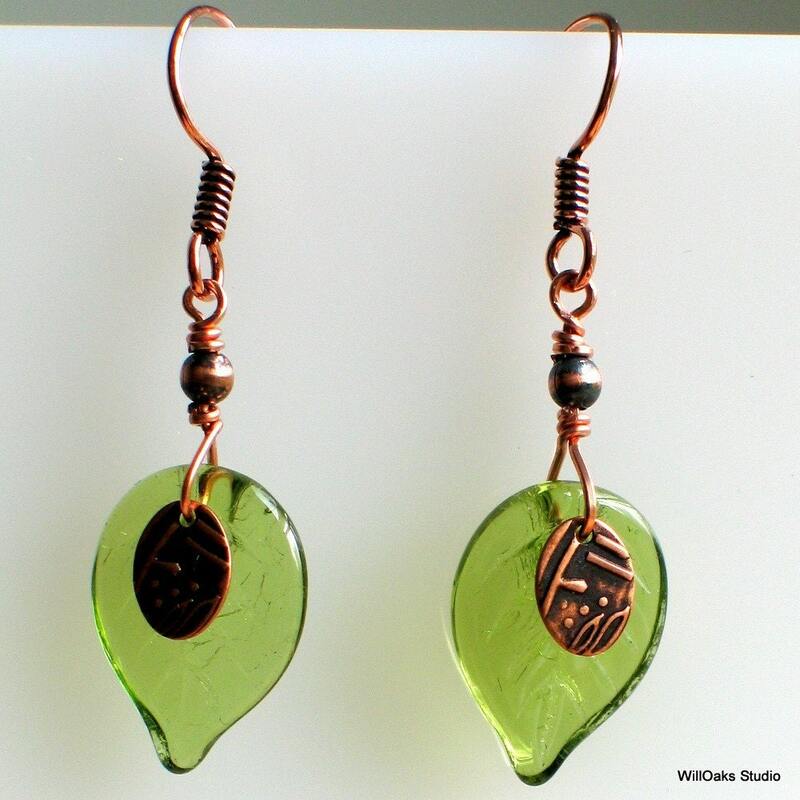 An oxidized and buffed copper bead tops this wire wrapped assembly - Being green can be lots of fun and these green earrings fit that bill as they evoke a lovely rendition of plant leaves. 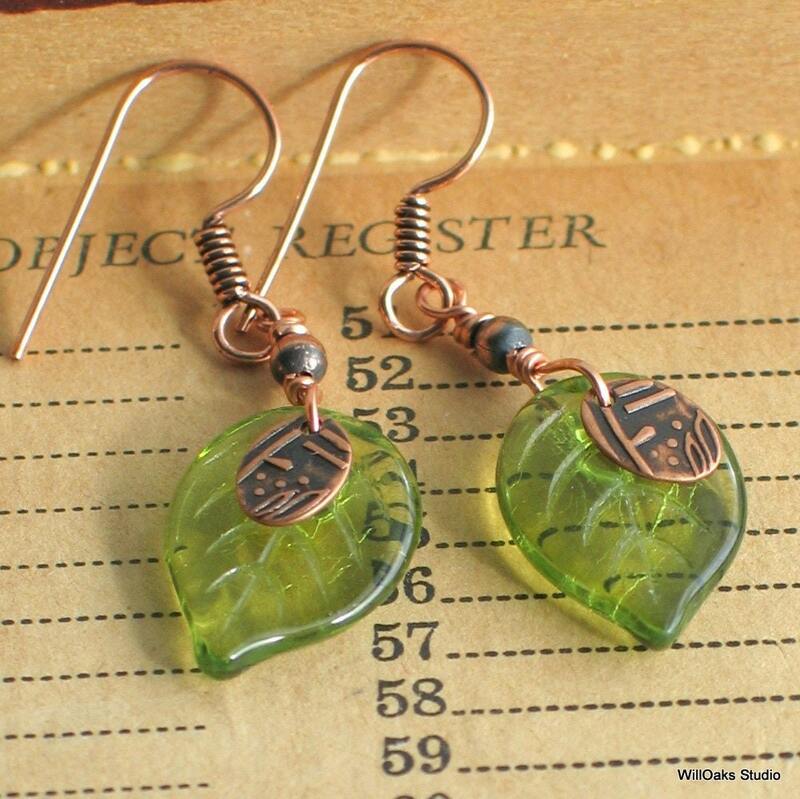 The earrings feature a Czech pressed glass leaf that is 1/2" wide and almost 3/4" long (14 mm x 18 mm). 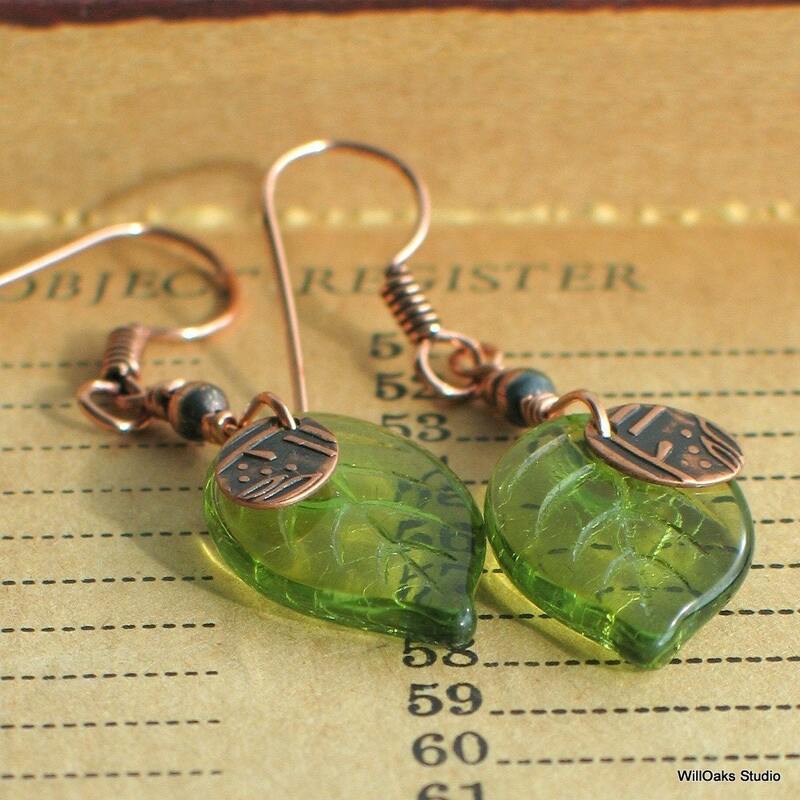 The earrings measure short of 1 3/4" (45 mm) from the top of the earwire. 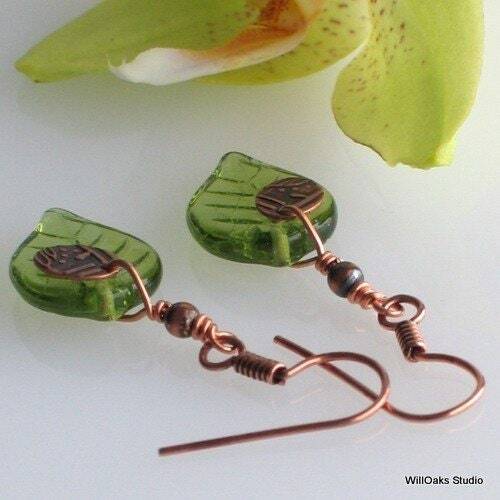 WillOaks Studio earrings are shipped in decorative, cotton filled boxes, all ready to give or to keep! Look exactly as pictured, and beautiful. Girlfriend loves it and thanks for the quick shipping! Look just like the picture. Love them! Beautiful! Nice artistry, beautiful packaging, too.